Instead of £325.00. You save £16.25 due to the online discount . 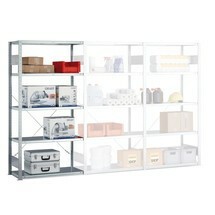 The shelf rack add-on unit with mesh shelves provides robust and secure storage for piece goods and containers. 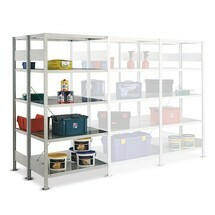 The stable construction provides double-sided access to the storage surface. 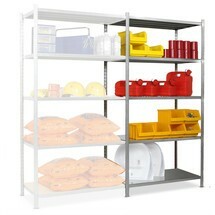 A shelf rack with mesh shelves offers maximum stability and ideal storage for your tools, piece goods, cardboard boxes and other containers. The robust yet economical lattice construction is made from high-quality tubular steel, and the rack expansion is assembled in a matter of minutes. Holes are positioned at increments of 62.5 mm to allow you to adjust the spacing between the individual shelves. 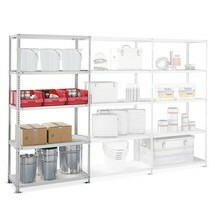 The rack can be accessed from both sides, meaning that you can position the shelving system anywhere in the room. 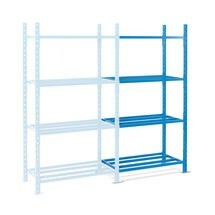 Both the shelves and the frame supports come in sky blue (RAL 5015). 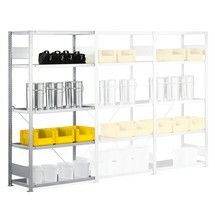 We also offer the matching shelf rack base units for this add-on unit. 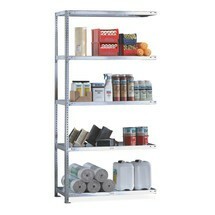 The specified shelf and unit loads apply only to evenly distributed loads. 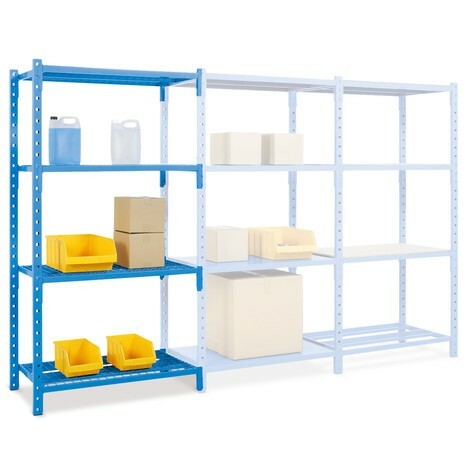 Benefit from flexible storage space in your warehouse by ordering the shelf rack add-on unit with mesh shelves and a shelf load of up to 500 kg from our shop.